During the registration process, parents and dancers (ages 18 & older) must agree to the Parent/Dancer Agreement in order to insure a clear understanding of our studio policies and procedures. This agreement helps you to have a trouble-free experience while dancing at our studio. If you do not agree enrollment will be refused. • Payment is due on or before the 28th of each month, running from August to May for the September to June season. • Accounts not paid within 10 days are subject to a 10% late fee. Subsequently, there will be an additional 2% every 30days thereafter for a total of 34% per annum. Arrangements can be made for special circumstances. • If a payment is missed, you will be required to place a 2nd form of payment on file with us, so in the event that you miss again, you will be charged. • Our preferred method of payment is in Full at the start of the season by etransfer. • Monthly tuition payments are non-refundable. You are not financially committed to the entire year, but once the tuition is paid, it cannot be returned. • Students will not be allowed to take class if their account is delinquent for more than 30 days. • AUTO-PAY (client portal): The studio can use an AutoPay system to pay credit card each month. The AutoPay system will debit your account on the 28th of every month. This helpful system will avoid any late payments resulting in late fees or dismissal from the program. • As with any program, steady attendance is a requirement for success. Failure to meet such requirements can lead to dismissal from the program or adjustment in level. • Guardians are responsible for communicating absences to the dance studio office or Instructor directly. • Everyone participates in the Year-End Recital. • More than 3 absences between January 1st through the June may result in removal from the class piece in the Year-End Recital. • If you decide to join the studio after our start date in September, you will still be charged for the entire season. There are no discounts for missed classes or join the class late in the season. • We do offer private lessons. If 24-hour notice is not given to change or cancel you will be charge for the session. • There are no refunds nor can missed classes be applied to subsequent months’ tuition. We do our best to make up classes if we have created the closure, however, in some cases that is not possible. • If the studio was closure for reasons outside of our control, we are not obligated to have a make-up class. • The office must be given a 30-day notice prior to changing a class schedule, or when discontinuing a class. • All fees are due up until the last day of the 30-day notice is over; which includes any and all fees charged during that 30-day period. • If the request to drop classes is done after January 1st of the current season you are subject to pay for the custom fees associated with the dropped class. This is due to the costumes for the year-end recital are ordered prior to that date and are none refundable. The costume fee is $100. • No tuition can be refunded when dropping a class. • Sometime, due to lack of attendance or low attendance, we may have to combine or cancel classes. In these cases, we will be communicating with you via email. It is your responsibility to read and respond appropriately in a timely manner during these changes. Plus, you are fully responsible for any charges that incur due to a lack of communication for any reason. Unfortunately, we do make mistakes. We welcome you as parents to bring those to our attention. We do ask that you use discretion as you address them with us. We ask that any conversations that are sensitive and private in matter be held while classes are not in session and are addressed to the director. If issues concern other parents or children, please do not address this issue at the studio. Please resolve the issue independently or make an appointment with the director to resolve the situation. Angry dialog, foul language and physical threats will not be tolerated. Parents and/or students who display this type of behavior may be asked to no longer participate in the classes at the YMM Dance Company. Please remember that these rules are for the safety and comfort of ALL dancers. • All young children must be supervised. No running, yelling or rough playing at the dance studio. • Please do not let siblings; friends, etc. go in the dance room unless it is their scheduled class. • Since we want your time spent at the studio to be as pleasant as possible, we ask that noise be kept to a minimum in the front lobby. • Children’s chairs in the children’s corner are for children. You are responsible for all damages. • We want you to be involved in your child’s dance education as much as possible, and we want you to feel you are getting a good value for your money. We do have viewing windows that you may look in to observe, however, we will be closing the viewing windows at times if we feel the dancers are becoming distracted. • If we notice that you, as parents, are not giving access to the viewing window to others on a regular basis, we will remove your viewing window privileges. Please remember that there are other parents in the room that may not feel comfortable asking you to move so they may see their child participate. 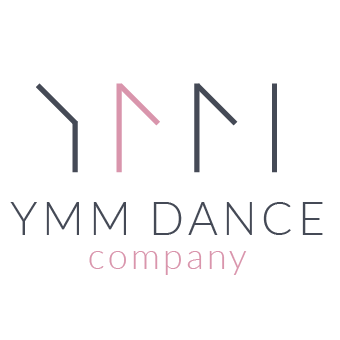 • YMM Dance Company follows the same basic calendar as the Public/Catholic School System. Following is a list of days the studio will be closed during the season. •	If schools close due to weather conditions, our studio may also close for regular classes for the safety of our students. Beginning in January, all students enrolled in class at the studio will begin working on dances for our year end dance recital. This is a very exciting time as students will learn discipline by being responsible for remembering their dances and have the opportunity to perform on stage in front of an audience. Attendance is very important during this time. The students work very hard each season to present their final show. We ask that parents be as supportive as possible during this process. In addition to the recital itself, there will also be a two weeks of dress rehearsal before the show. We try very hard to start on time and end on time- we can only do this with your complete cooperation. Our dance recital will be held in early June. Rehearsal and recital schedule will be given out several weeks before the recital. If a request to drop classes is done after January 1st of the current season you are subject to pay for the custom fees associated with the dropped class and the Year-End Recital. This is due to the costumes for the year-end recital are ordered prior to that date and are none refundable. We do our best to place students in the most appropriate class based on age and ability level. Sometimes after beginning class it may be necessary to move a student to a different class to better meet his or her needs. We will discuss the potential move with the parents and try our best to accommodate personal schedules. We want your child to benefit from the dance education you are paying for, therefore we need to make sure they are in a class that allows them to excel. • It is recommended that students arrive early in order to get a drink, go to the bathroom, get warmed up and be dressed properly. • Students who arrive more than 10 minutes late may be asked to observe class. • Hair must be pulled up. • Practice safe behaviors for yourself and your classmates. • If late, ask permission to join class. • When leaving the studio, students must remove dance shoes and cover-up their dance clothes or change prior to leaving. Do not go outside during cooler weather without a warm-up. It is important to control the cooling process to avoid injury. In addition, please respect your art by keeping your dance attire confined to the studio. • Friends and family are welcome to observe class, but must remain outside the studio. • No gum, food, candy or drink of any kind is allowed inside the studio rooms. • The use of alcohol and/or drugs is strictly forbidden at the YMM Dance. By agreeing to this you are waiving important legal rights. Please read carefully. This agreement must be completed in full before you can participate in any activities with YMM Dance Company Inc. I, on behalf of myself, my heirs, next of kin, executors, administrators, representatives and assigns, hereby forever waive all claims and release, discharge and hold harmless YMM Dance Company Inc. ("YMM Dance Company") and their representatives and agents including, without limitation, employees, and all other entities associated or involved in the organization or staging of events or any other activities, including, but not limited to, volunteers, third party vendors, all venues in which activities or segments of activities are held, and the members, officers, directors, employees, representatives, assigns, affiliates, and agents of any of the above (collectively, the "Releasees"); for any and all losses, costs, causes of action, claims or damages, including any claim for damages for personal injury to my person or personal property damage howsoever caused, arising out of or in connection with my taking part in dance, yoga or other related activities, notwithstanding that the same may have been contributed to or occasioned by, without limitation, the negligence, breach of contract or breach of any statutory or other duty of care of YMM Dance Company, or any of the Releasees. I agree not to sue any of the persons or entities mentioned above for any of the claims or liabilities that I have waived, released or discharged herein; and I indemnify and hold harmless YMM Dance Company and the Releasees from and against any and all losses, claims, suits, actions, damages or liabilities (including without limitation, legal fees and disbursements) assessed against them as a result of or in connection with my actions during, and in connection with, dance, yoga or other related activities with YMM Dance Company. I acknowledge that I am aware of the possible risks, dangers and hazards associated with participating in dance, yoga and other related activities, including the possible risk of severe or fatal injury and property loss. I hereby assume these risks which include, but are not limited to: the possibility of physical injury to myself and others such as muscle strain, broken bones, concussion, soft tissue damage, infectious diseases, and cardiac arrest. I certify that I have not been advised against participating in dance, yoga or other related activities by a qualified health professional. I acknowledge that YMM Dance Company, permitting me to participate in dance, yoga and other related activities, accepts my statements on this release waiver. I hereby grant full permission to YMM Dance Company to use any photographs, motion pictures, videotapes, recordings or any other record of my participating in dance, yoga or any other related activities for any purpose including, without limitation, commercial use. The law that governs this Agreement shall be the law of Alberta, Canada. I hereby affirm that I am eighteen (18) years of age or older, I have read this document, and I understand its contents. I acknowledge that I am signing this waiver voluntarily and that if I am under the age of eighteen (18) I require parental consent. I HAVE READ AND UNDERSTOOD THIS AGREEMENT AND I AM AWARE THAT BY SIGNING THIS AGREEMENT OR BY REGISTERING ONLINE I AM WAIVING CERTAIN LEGAL RIGHTS, INCLUDING THE RIGHT TO SUE, WHICH I, OR MY HEIRS, NEXT OF KIN, EXECUTORS, ADMINISTRATORS AND ASSIGNEES, MAY HAVE AGAINST THE ORGANIZERS AND RELEASEES.